When I was at the FETC conference I learned about the Nomad Brush. 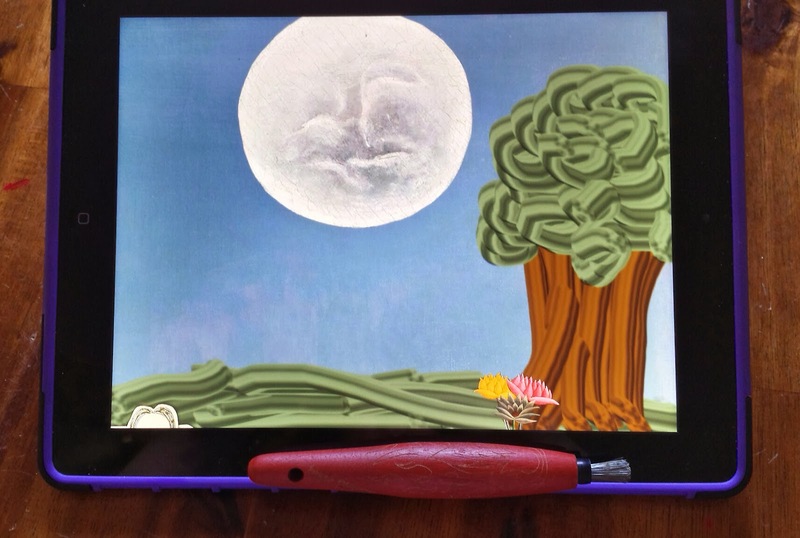 This special brush interacts with your iPad like a paint brush. I just had to try this out for myself. I already had the app PlayART on my iPad so I thought these two tools would be a perfect pair. The PlayART app lets you interact with elements from 8 artist such as Claude Monet, Vincent Van Gogh, and Gustav Klimt. I purchased the smaller fatter brush since I have a kindergartener and thought she would love to use this tool. After its arrival I decide that I need a classroom set of these paint brushes. I am trying to teach my students to create original work instead of copying or stealing images from of the internet. Having original artwork will make their projects more authentic and unique. I normally teach my students how to draw using Google Draw since we are a Google Apps for Education school. 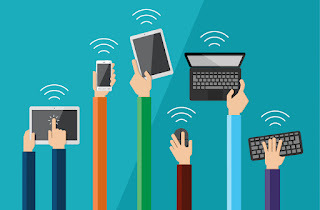 Since my 7th and 8th graders have their own iPads I have been looking more into how to get their creativity flowing and apps that they can create and then use their creations in writing projects. Now I am no artist by any means but I found using this brush and the PlayART app very user friendly. I liked how my brush strokes showed up making for different effects. I suggest trying the brush with a variety of apps that are focused in the draw or art areas. My goal is to have my students create original work, write a children's or short story, and then tell their stories in front of a green-screen. This would also be a great way to tell a poem, report, or even do a play.